Mr. George “Skip” William Grant, III, 86, of Archdale, passed away Monday, July 23, 2018, at the Hospice Home at High Point. Born August 3, 1931, in Weston, WV, Skip was the son of the late George William Grant, Jr. and Gertrude Shaw Grant. 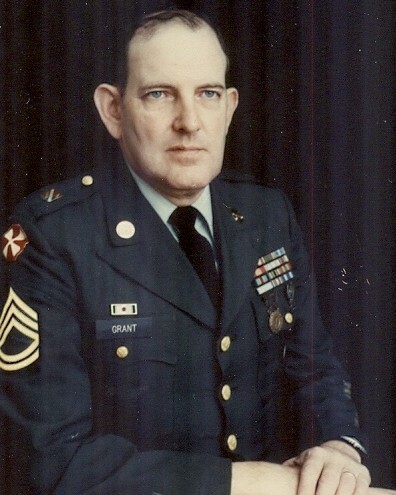 He graduated from Williamson High School, and attended West Virginia University before joining the Army during the Korean War. Skip also served in the NC National Guard where he retired as a Master Sergeant after 40 years of service. He worked and retired from the City of High Point Water Treatment Plant after 30 years, and had also worked as the nighttime manager for Stamey’s BBQ in High Point. Skip is survived by his wife of 56 years, Shelby Hubbard Grant, of the home; a son, Craig Grant and wife, Stuart, of Archdale; two grandchildren, Liam Grant and Fiona Grant; and three sisters, Heather Hoffman, Leslie Grant, and Diana Grant. Funeral will be 10:00 a.m. Friday, July 27th, in the chapel of Cumby Family Funeral Service in Archdale, officiated by Rev. Roger Carmichael. Interment will follow in Guilford Memorial Park Cemetery. The family will receive friends Thursday night from 6 until 8 at the funeral home. In lieu of flowers, memorials can be made Hospice of the Piedmont, 1801 Westchester Dr., High Point, NC, 27262.